Travel agencies need to promote their business by showing off the imagery of their travel destination in their offers. Travel Agency Website Templates provide the best images that attract travelers and tourists. These readily built templates are completely functional as well so that your visitors can perfectly explore your website. These also offer customization so that you can redesign these as per your linking and needs. 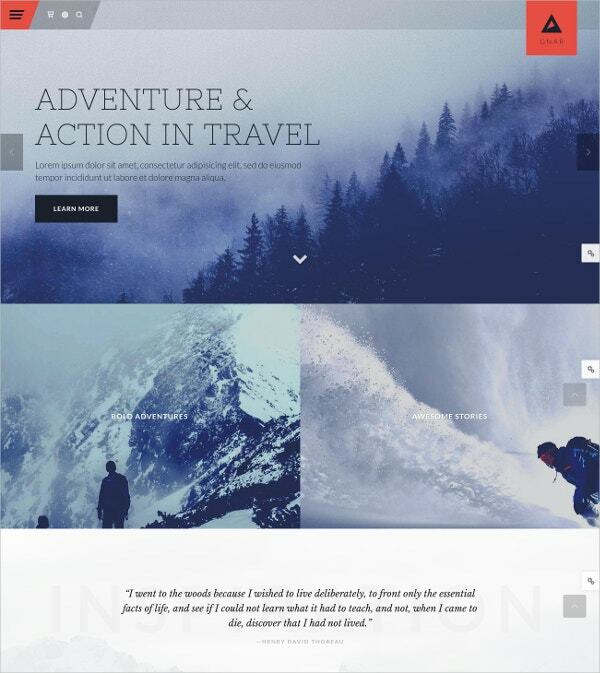 Here is a great collection of travel website templates for you. TripTastic is a blog centric Travel WordPress Theme with the GPL 3.0 license. This has been professionally created with flat monochromatic content blocks and provided with the same colored buttons. It offers several header, sidebar and footer style options; two blog layouts; 8 post formats; and a collection of Google web fonts. 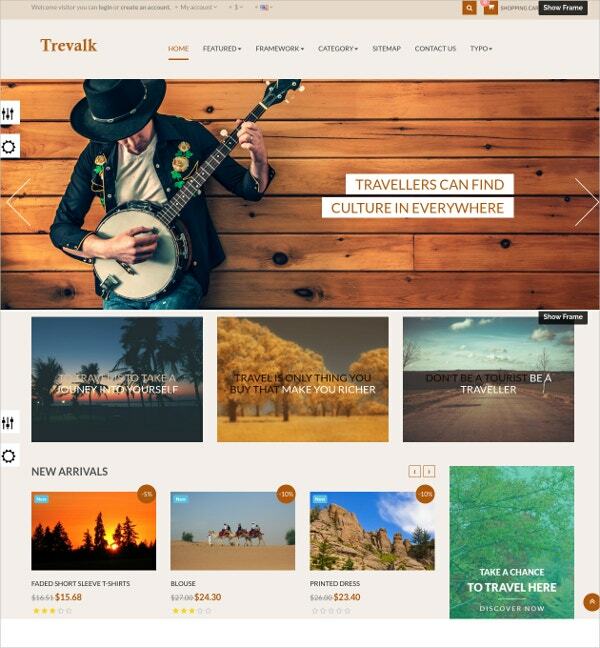 Travelo is a tour and travel booking HTML template. It perfectly suits agencies and companies that offer services of car rentals, hotels, cruises, flights, resorts, and tours. Numerous color skins and layout possibilities with unlimited colors variations are available with this template. This easily customizable template has booking pages, search box, dashboard pages, etc. 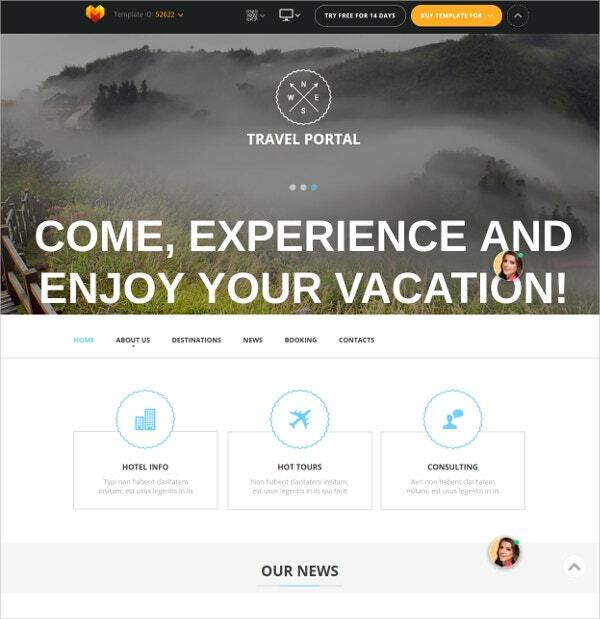 Travel Spot is a Joomla template with a content-centric design for travel agencies. This well-designed template has a wide search facility to enable the visitor to get his best choice info. Other features include responsiveness, cross-browser compatibility, slider, bootstrap, stick-to-top menu, google map, contact form, connecting system, google fonts, and much more. 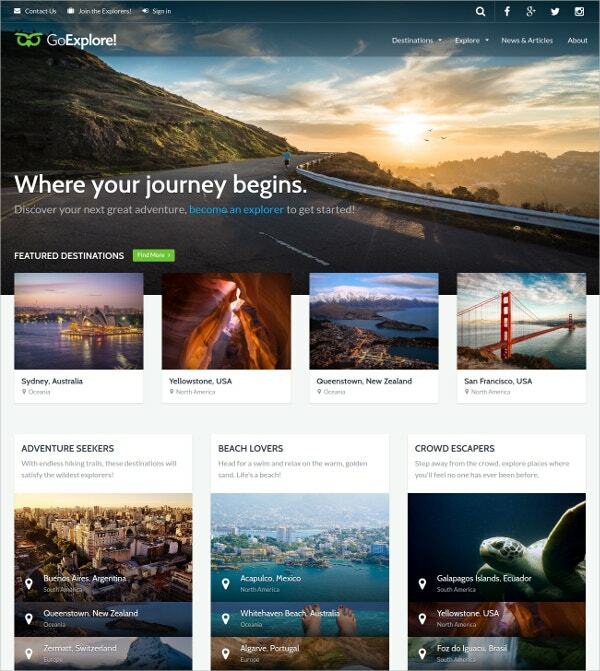 GoExplore is a perfect theme for creating sites related to tourist attractions, community, travel news, hotels and resorts, travel agencies, tourist information, guidebook, travel club, tour operator, ski lodge, local destinations, theme parks, etc. Features include travel destinations plugin, retina ready, SEO optimization, translation ready, per topic rating, featured destinations, etc. 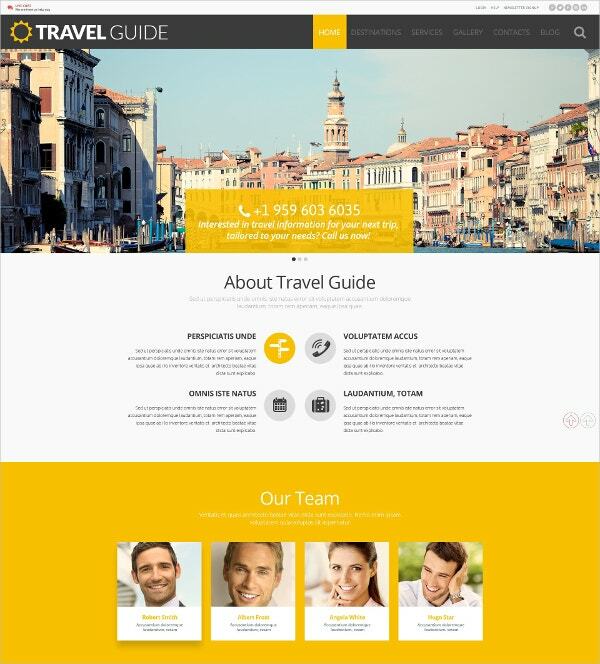 The Travel Agency is a Bootstrap template which offers a fully featured travel website. Its features include cutting-edge visual effects, smooth user experience, fully responsive, online chat, cross-browser compatibility, favicon, drop-down menu, google web fonts, live search, tooltips, tabs, google map, sliced PSD, back-to-top button, extra pages layouts, etc. Gnar is a travel, action, and adventure WordPress theme which is responsive and retina ready; and comes with features like mega menus, drag-n-drop editor, layout builder, 45+ layout builder elements, 4 post display styles, video and parallax image support, page editor, sidebar right, post grid, homepage integration, built-in third party plugin integration, etc. 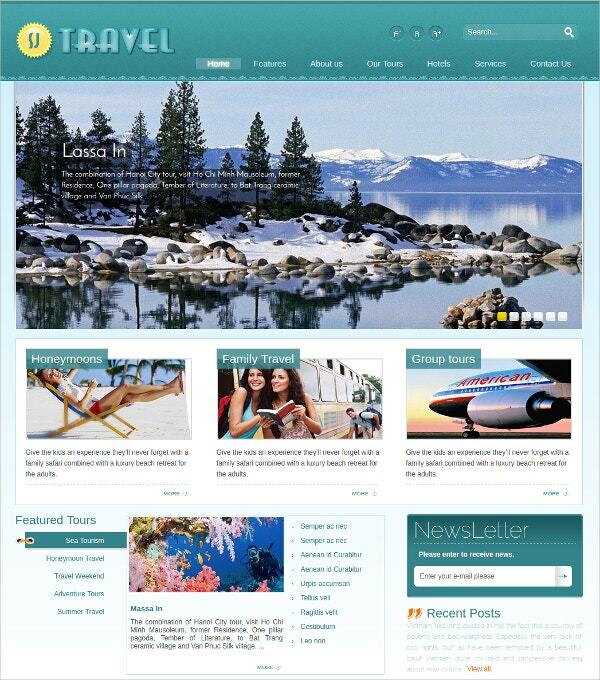 Real Travel is an HTML template for tour operators, travel agencies, travel blogs, etc. It’s modern and clean design would also suit any other business. It is 100% responsive; and comes with features including a photo gallery, call-to-action, popular places, CSS animals, font awesome icons, layered PSD, subscription form, testimonials, contact form etc. It is a blog-centric travel WordPress theme with the GPL 3.0 license. This has been professionally created with flat monochromatic content blocks and provided with the same colored buttons. Its features include google web fonts, WordPress live customizer, well documented, 24/7 friendly support, calendar, advanced theme options, and much more. 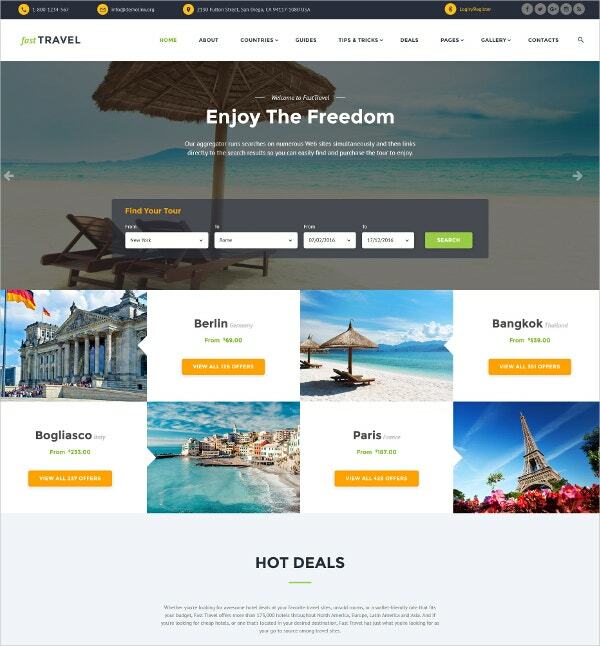 JSN Levart is a travel and hotel Joomla website template. 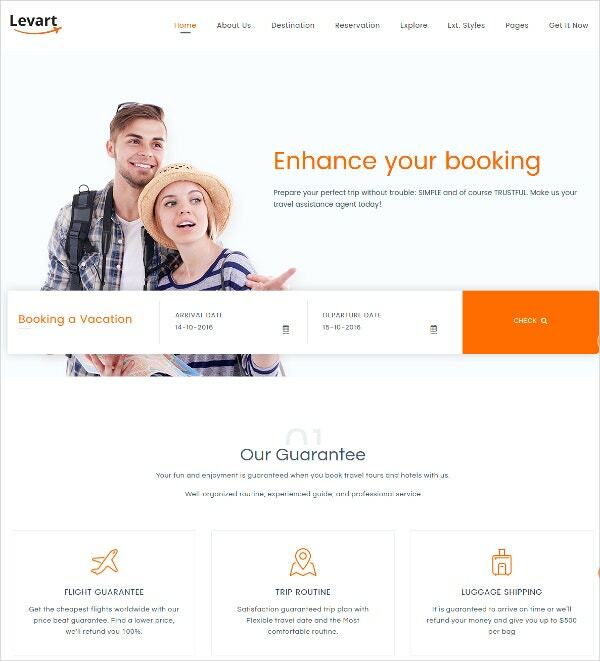 It offers a comprehensive travel booking solution; and its features are an eye-pleasing layout, fantastic travel tailored homepages, beautiful destinations showcase, built-in SEO features, seamless mega menu, zero set-up effort, 100% responsive design, diligent support forum, detailed documentation, easy customization, and much more. Paris is a premium WordPress theme for hotels, beds and breakfasts, holiday houses, and agritourism. This easy to install, SEO optimized, and responsive theme includes useful features like web fonts, shortcodes, powerful CSS3 animations, customization, advanced typography, extensive documentation, demo content import, ajax powered booking form, mega menu, drag-n-drop social icons management, etc. AP Travel theme provides for the rational and neat arrangement of tourist destinations, leading hotels, cultural symbols, etc. Its features include 100% responsive, multiple layout options, easy customization, multilingual support, compatibility with major browsers (Safari, Chrome, Firefox 2+, Firefox 3, IE8, Flock 0.7+, Netscape, and Opera 9.5. ), mega menu, theme editor, social networking links, etc. Travel Guide is a WordPress template with cherry framework intelligence and bootstrap functionality. It has features like social media icons, advanced backup, 2 step easy installation, 100% responsive, SEO friendliness, multiple color options, filterable portfolio, custom widgets, built-in theme customizer, lifetime free updates, fantastic sliders, custom typography, parallax effect, etc. 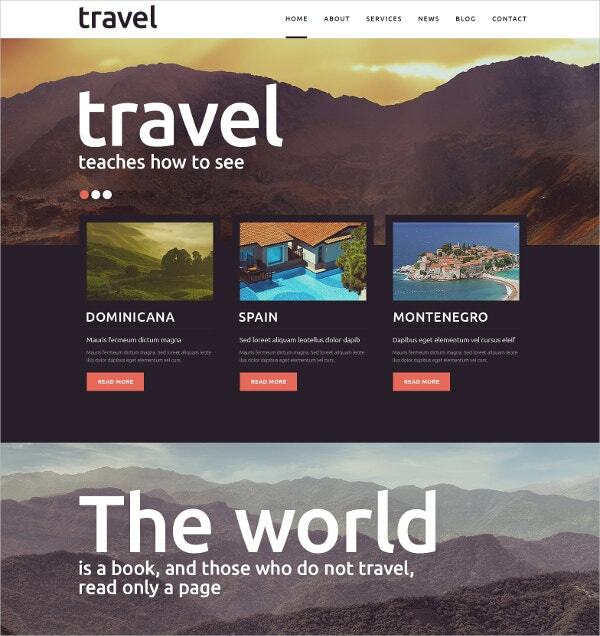 Master is a responsive drupal travel theme. It is loaded with features like 100% responsive, cross browser compatibility (Safari, Opera, Firefox, IE11, Edge, Chrome), listing view, grid view, mega menu, testimonials variations, slideshow options, multilingual support, footer options, SEO friendly and unlimited color options. Its pages include portfolio, team, details, blog, etc. YT travel template is specifically designed for the tourism sector websites. It supports Joomla version including 1.5, 1.7 and 2.5. Its main features include mega menu, CSS menu, moo menu, RTL support, LTR support, module variations support, 5 color site styling, cross browser compatibility (Safari, IE7+, Mozilla Firefox, Chrome, Opera), responsive, etc. 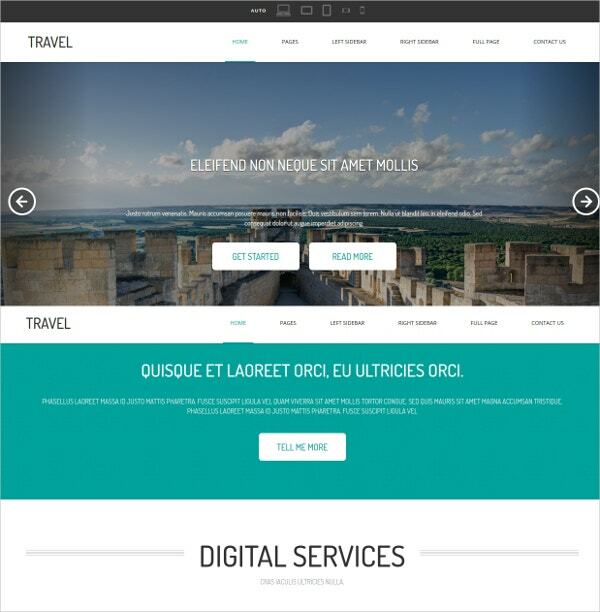 Travel Trip is a 100% responsive travel website template. It is loaded with features like social media icons, google maps integration, fast and light weight, typography and table styles, lightbox, portfolio, web store, FAQ page, blog, 100+ short-codes, valid HTML5 code, slider integration, bootstrap framework, full and fixed width layouts, etc. 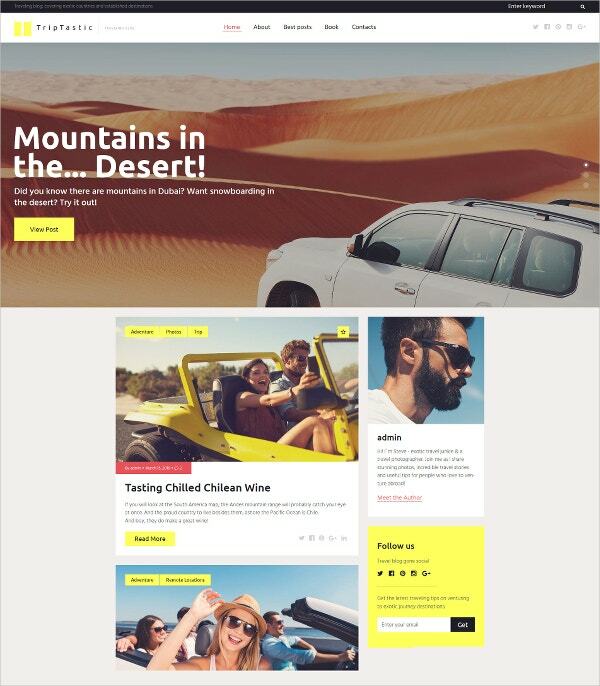 Marea is a premium WordPress theme for travel and tourism related websites. 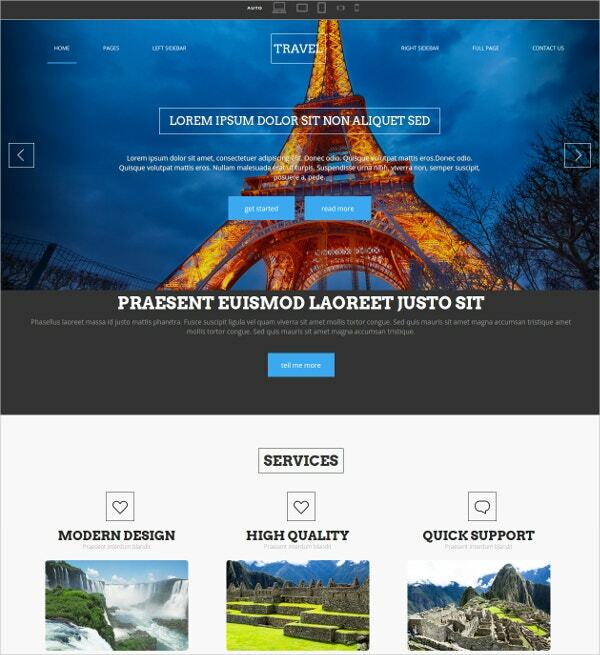 It features are easy and quick installation, SEO optimized, and responsive theme includes useful features like web fonts, shortcodes, powerful CSS3 animations, customization, advanced typography, extensive documentation, demo content import, ajax powered booking form, mega menu, drag-n-drop social icons management, etc. 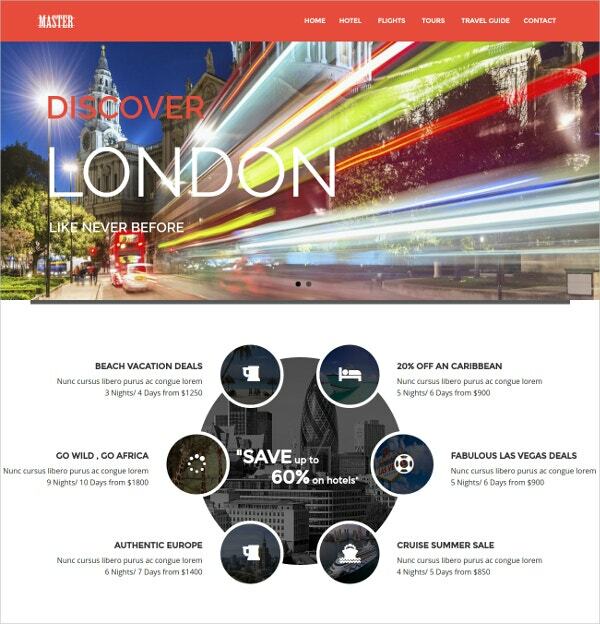 This is a 100% responsive travel website template. It is loaded with features like google maps integration, social media icons, fast and light weight, lightbox, portfolio, typography and table styles, web store, 100+ short-codes, FAQ page, blog, valid HTML5 code, bootstrap framework, slider integration, full and fixed width layouts, etc. You may also see Travel Templates. 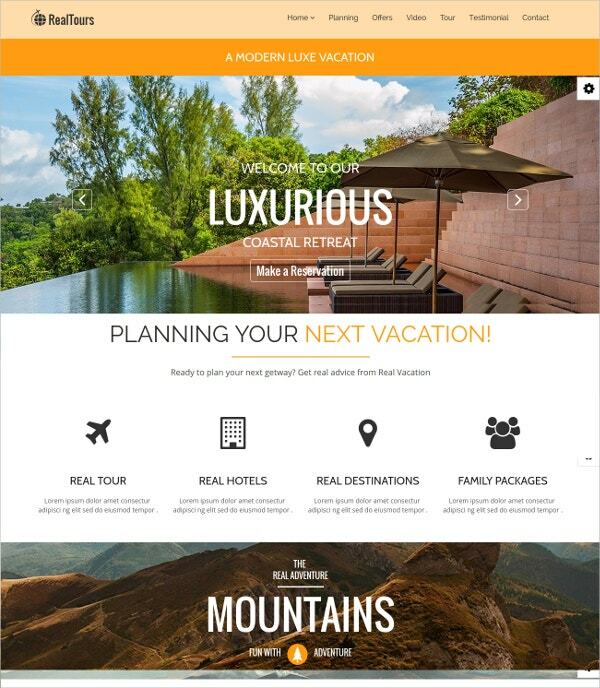 Travel Tours is a premium template powered by moto CMS. It has been designed specifically for tours providers and travel agents. Its features include drag-n-drop editor, powerful admin panel, social options, google web fonts, google webmaster tools, google analytics, social options, background options, mobile version editor, Iframe, and many more. 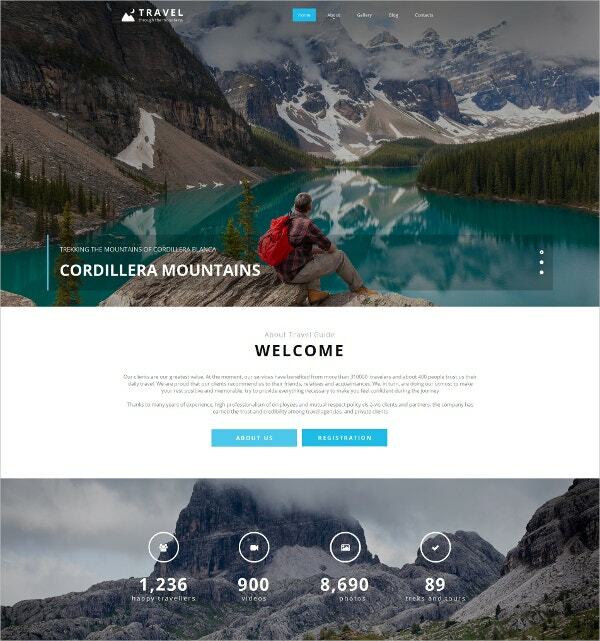 Travel agents, tour operators, travel agencies, travel blogs, etc can go ahead and choose from the above given Travel WordPress themes, moto CMS templates, HTML themes, and bootstrap templates. 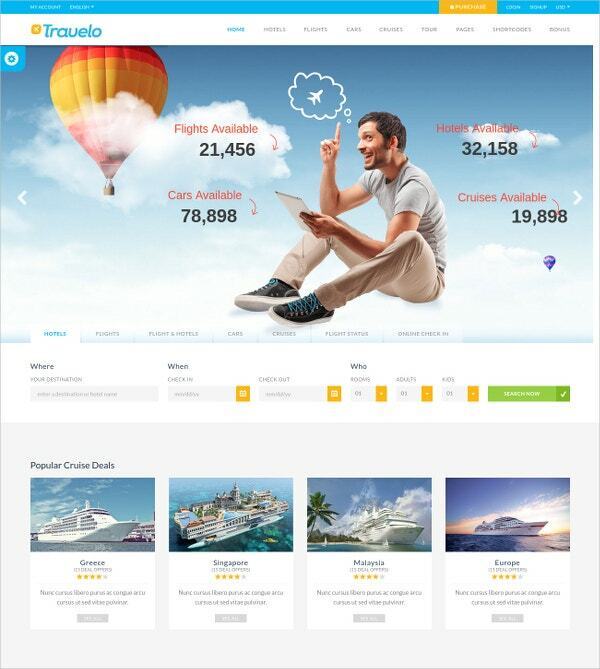 Their features and layout are designed to highlight your services like car rentals, hotels, cruises, flights, resorts and tours; and in turn generate income for your business.